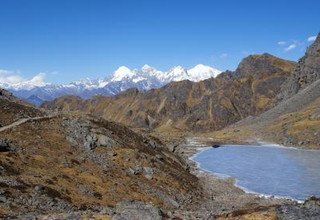 Long Tamang Heritage Trail, Langtang Valley, Gosainkunda Lake and Helambu Lodge Trek is one of the best treks to experience the real Nepal. 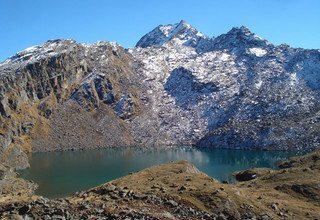 From an amazing scenery to experiencing a rich Tamang culture, this trek offers different tastes of different places in the Langtang region located north of Kathmandu. Throughout the long trekking journey, trekkers will enjoy amazing views of different mountain peaks like Mt. 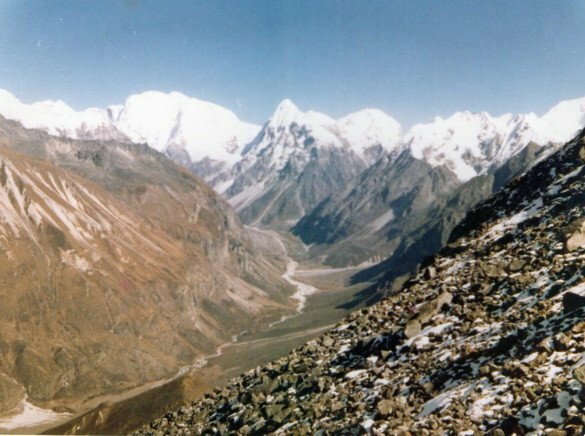 Langtang Lirung (7234m), Ganesh Himal (7422m), Gaurishankar (7134m), Langshisa Ri (6427m), Ghengu Liru (6571m), Dorje Lakpa (6966m), Gangchempo (6387m), and so on. 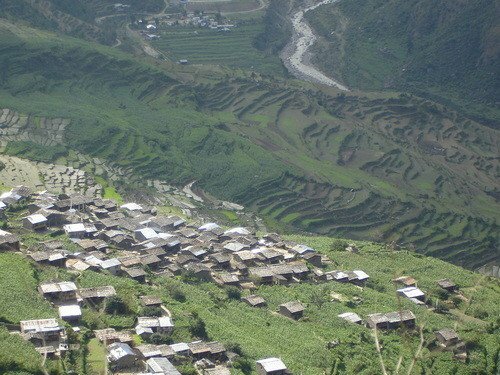 The 27-days long trek takes through the Tamang Heritage Trail giving trekkers an opportunity to learn about the lifestyle and culture of the Tamang community and explore their traditional Tamang villages with unique architectures. 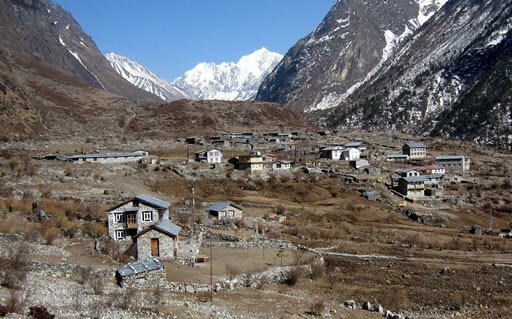 After passing the Tamang Heritage Trail, trekkers head towards Langtang Valley which not only provides the great view of Langtang Lirung (7234m) but also provides a chance to explore Sherpa villages and visit glaciers. 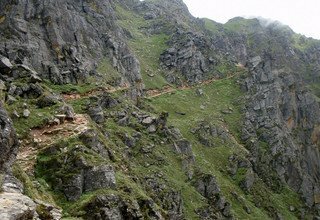 The trail then continues towards Gosainkunda Lake which is believed to have magical healing powers. 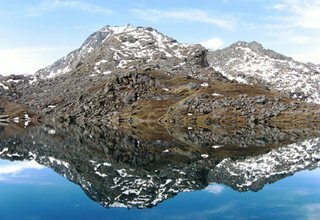 Gosainkunda Lake is a mythological lake which is believed to have been created by Lord Shiva and is a holy place for Hindus and Buddhists. Thousands of visitors from all over the country come to visit the lake in the month of August during the full moon. 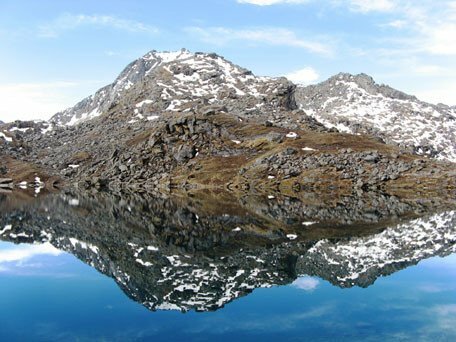 After mythological Gosainkunda Lake, the trekking route follows towards Helambu, a home of Hyolmo people. 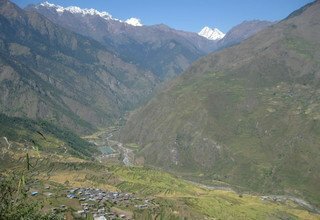 Throughout the trek, we pass through various landscapes from the densely forested path to alpine meadows, greenery landscape, rugged terrain, and waterfalls along with Chortens, local forts, ancient monasteries, and unique architecture of different villages. All in all, the trek combines different highland villages, their unique culture, glimpses of wildlife and unreal natural beauty. 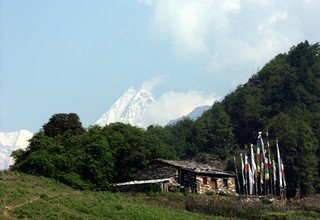 Swiss Family Treks and Expedition is a popular and most trusted trekking organizer based in Kathmandu. We've been working in the tourism industry since the last 15 years and our 5-star ratings are proofs of our excellent services. We provide our clients with local guides who are friendly and fluent in English. We deliver our clients private transportation facilities with decent accommodations for overnight stays. We also provide special packages depending on client’s choice. Pick up at Tribhuvan International Airport, upon your arrival, and then we transfer you to a 3-star hotel in Kathmandu. Overnight in Kathmandu. Our experienced guide takes you on a sightseeing tour in Kathmandu visiting UNESCO World Heritage Sites that include Pashupatinath, Swayambhunath, and Boudhanath. You can take recommendations from the guide and taste the local cuisines to make your tour more fun. Overnight in Kathmandu. Leaving the capital city behind, we drive on Prithvi Highway towards Sybrubensi by a private car moving alongside Trishuli River. Relishing the roadside view throughout the ride, we arrive in Sybrubensi. Overnight in Sybrubensi. Today begins the first day of our trek. We steeply ascend up to Rongga Bhanjyang and then continue to trek descending to the village of Goljung. We then gently climb up until we reach Tamang village of Gatlang. Overnight in Gatlang. Today we trek passing Chortens and Mani walls before entering the dense forest to reach Chilime. We then continue to trek crossing a suspension bridge that leads us to Gonggang village. 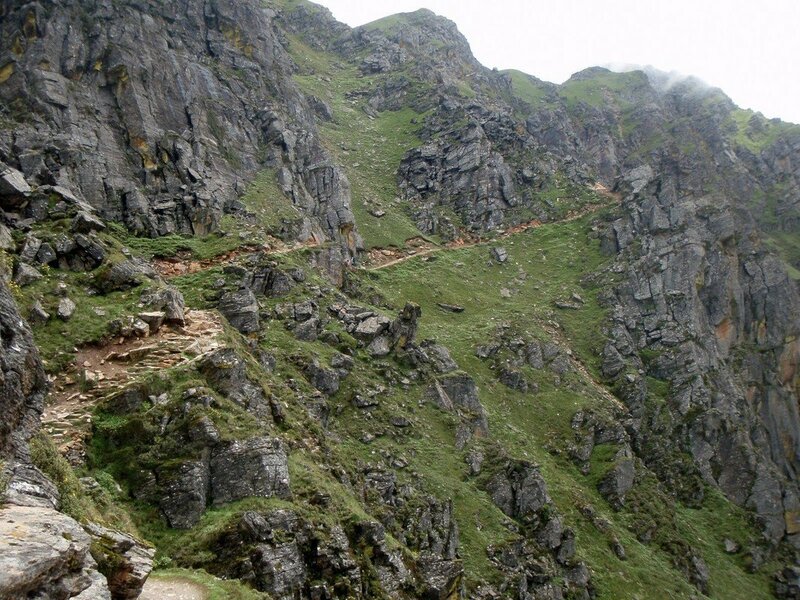 After passing the village, the trail ascends to Tatopani. You can have a relaxing bath in the natural hot spring if you like. Overnight in Tatopani. 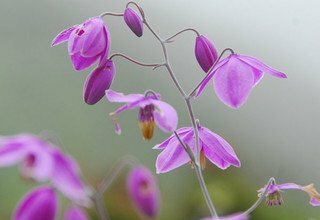 We continue to trek through the forested path to reach Nagthali viewpoint. 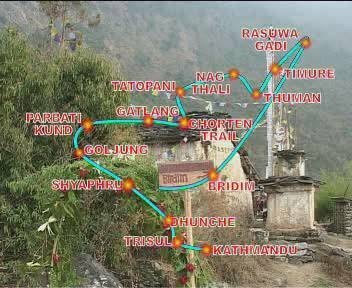 The trail goes up and down till Tamang village of Brimdang, and from there, we climb up gently to finally reach Nagthali viewpoint. 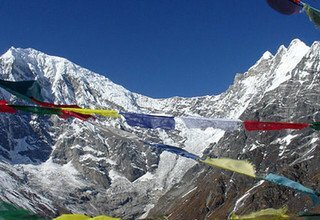 We can see an amazing view of Langtang Lirung (7234m), Ganesh Himal (7422), and other mountain peaks from the viewpoint. Overnight in Nagthali Gyang. After watching the amazing sunrise view, we descend towards Thuman village. The trail continues to descend till Bhote Koshi River and crossing the suspension bridge over the river, we continue to move alongside Bhote Koshi until reaching Timure village near the Nepal-Tibet border. Overnight in Timure. Today, we gently ascend towards Rasuwagadhi to visit the historical fort. The route we take is basically an old trade route to Tibet. Rasuwagadhi is the Nepalese side of Nepal-Tibet border and hosts many tea shops and restaurants. After spending some time in Rasuwagadhi, we return back to Timure for an overnight stay. Following the trails of Bhote Koshi River, we trek towards Lingling. Relishing the amazing landscapes, we then climb up until we arrive at the Tamang village of Briddhim. Later in the evening, we visit Dukchu Monastery, which is believed to have been chosen by the great Tibetan Lama, Guru Rimpoche, as a sacred site. Overnight in Briddhim. The trail today ascends to Khanjum village and passing through the Chortens, Mani walls, and prayers flags along the way, we make our way up further to Sherpa Gaon. We get an amazing view of the Langtang ranges from Sherpa Goan where we are welcomed by the warm hospitality of the Sherpa people. Overnight in Sherpa Gaon. 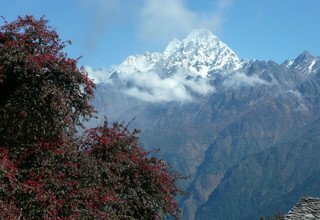 Trekking through rhododendron forests with an amazing view of the Langtang range and Gosaikunda valley, we descend towards the Lama Hotel. 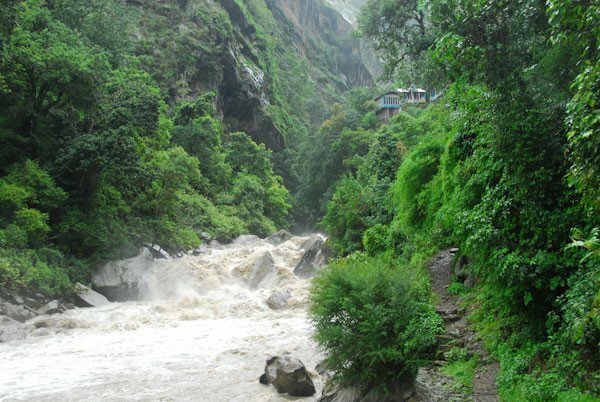 We follow the trails of Langtang Khola downstream to reach Rimche and then follow the river upstream to arrive in Lama Hotel situated on the riverbank. Overnight in Lama Hotel. Continuing our trek through the forested path, we ascend through steep trail towards Ghoda Tabela. We then pass through yak pasturelands and cross a suspension bridge before arriving in the Tamang village of Langtang. 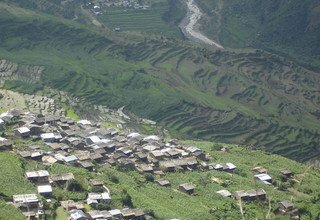 Staying in Langtang allows us to learn about the Tamang lifestyle, culture, and tradition. 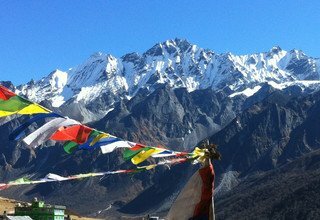 From Langtang, we get an up-close view of Langtang Lirung (7234m) and other peaks. Overnight in Langtang. 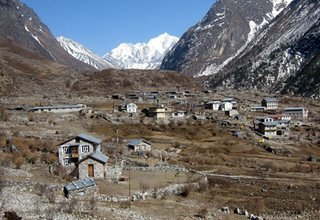 Leaving Langtang village behind, we follow the trail through yak pasturelands passing several small villages, Chortens, and a large Mani wall on the way to Kyanjin Gompa. The ancient Kyanjin Gompa is considered as the most sacred monastery by the Tamang people of Langtang region. 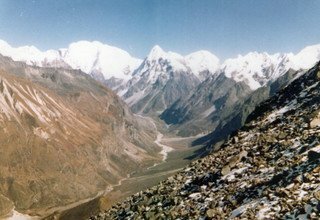 Kyanjin also offers a spectacular view of Langtang Lirung (7234m), Yubra (6264m), Dagpache (6567m), and other mountain peaks. Overnight in Kyanjin. Today, we hike up to Tsergo-Ri located at the elevation of 4985m above the sea level. 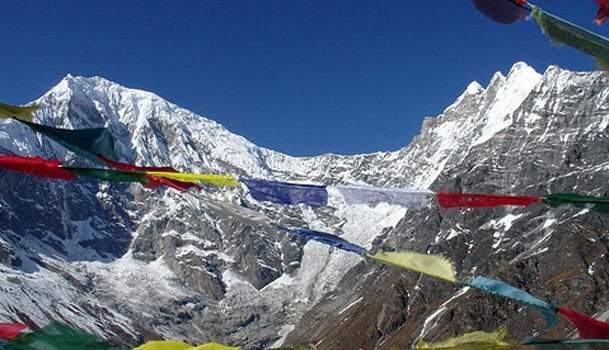 Upon reaching, we are rewarded with the 360-degree view of different mountains from the Langtang range to Ganja-La range, Yala Peak (5500m), Langshisha Ri (6427m), Gangchempo (6386m) and many others. We hike back to Kyanjin Gompa and visit the cheese factory, Buddhist shrines, and monastery as we interact with the locals. Overnight in Kyanjin. We retrace our trail back to Lama Hotel descending through yak pasturelands until we reach Langtang. Following Langtang Khola downstream, we reach Ghodatabela and then Gumnachowk. We continue to trek back through the dense forest area to reach Lama Hotel. Overnight at Lama Hotel. We continue to walk through the forested path until reaching Bamboo. Walking on a landside prone area alongside Langtang Khola, we arrive at a hot spring. We then ascend through steep trail relishing the great mountain views in the background to reach Thulo Syabru. Overnight in Thulo Syabru. 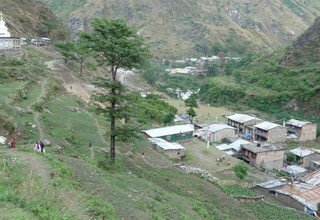 Today, we begin our trek by ascending through steep hill above the village and then passe through the fields to reach Dursagang. We then continue to follow the steep trail through oak and hemlock forests and pasturelands that lead us to the top of the ridge at Lauribina. Overnight in Laurebina. 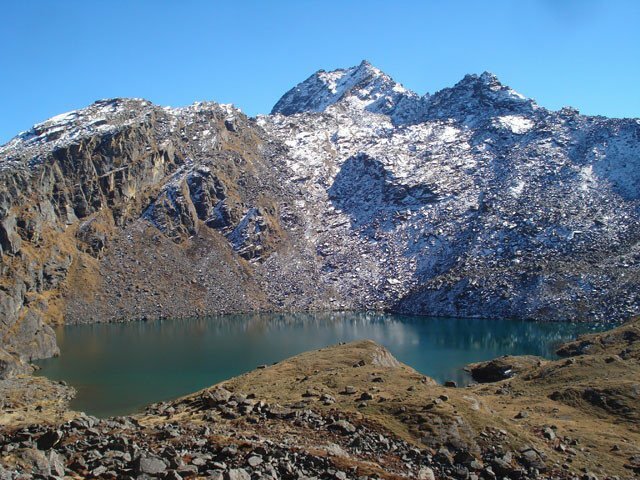 Today, we head towards pristine Gosaikunda Lake, trekking on a rocky trail and steep ridges. We pass the first lake, Saraswati Kunda, and the second lake, Bhairab Kunda, to reach the third lake, Gosaikunda, itself. Gosaikunda is a sacred pilgrimage site for Hindus and Buddhists and is believed to be created by Lord Shiva. The lake, surrounded by bare hills, envelops the area in tranquility. Overnight in Gosainkunda. 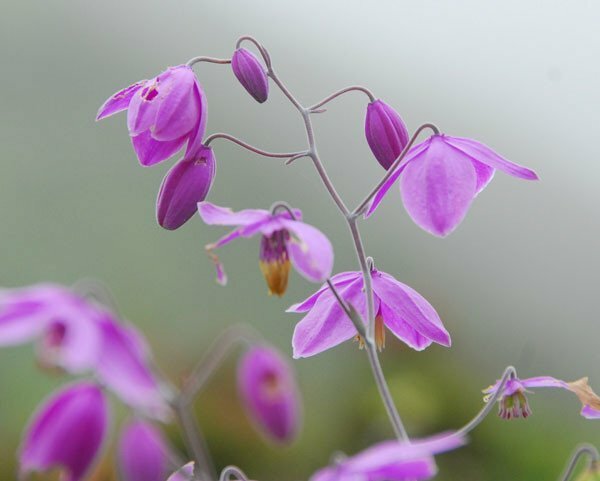 Today, we take a day to explore the areas nearby Gosaikunda by visiting other holy lakes, monasteries, and temples. 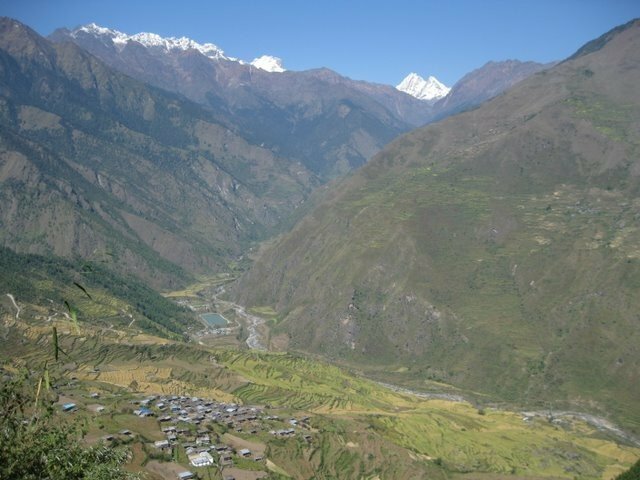 We can also hike to one of the smaller hills for a view of the surrounding mountains including the Langtang range. Later, we return back to the pristine Gosainkunda and relax in the peaceful environment. Overnight in Gosaikunda. 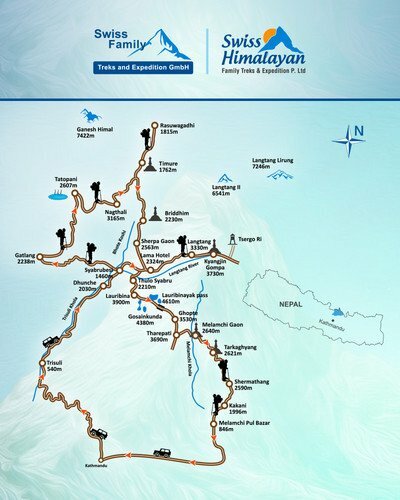 Today, we need to cross over Lauribinayak Pass which is located at the elevation of 4610m above sea level. We begin to trek through rocky trail and then gently ascend on a steep path until we reach Laurebinayak Pass. After reaching the top of the pass, we slowly descend through rough steep terrain to Gopte. Overnight in Ghopte. The trail today takes through many ups and downs across the boulders of old moraines before ascending to Therapati. 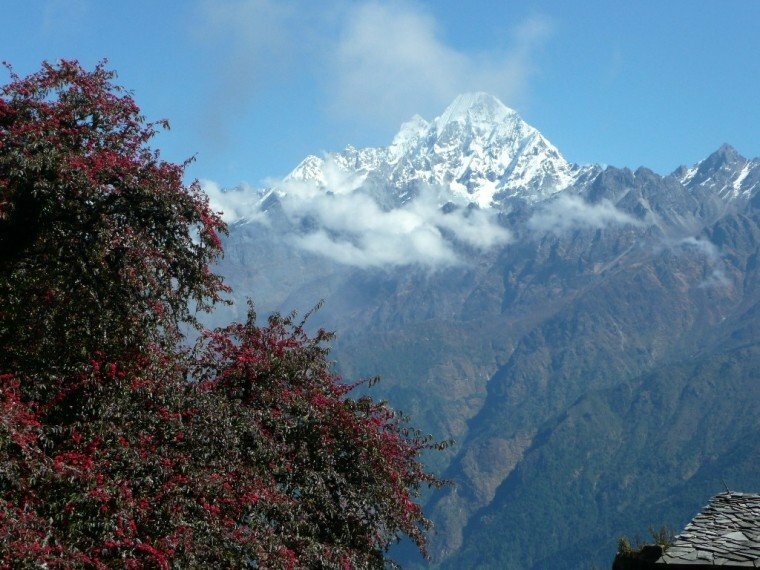 The trail then passes through dense rhododendron forests that lead us to Sherpa village of Malamchi Gaon. Overnight in Melamchi Gaon. Passing through the stupa and Chortens along the way, we cross a suspension bridge over Melamchi Khola and continue to trek through the steep trail. 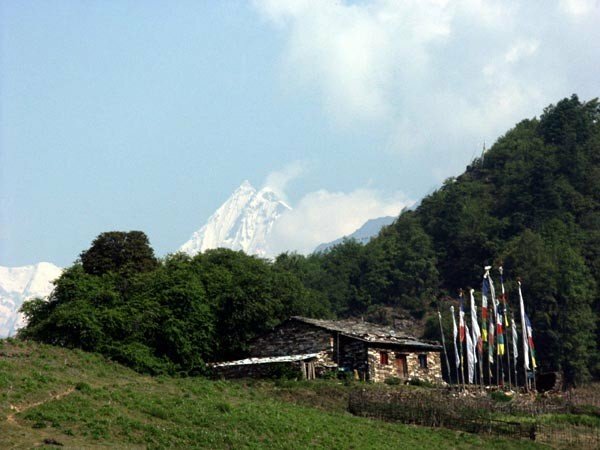 Passing the monastery of Nakotegaon, we enter the forested trail to reach Sherpa village of Tarkeghyang. Overnight at in Tarkeghyang. Leaving behind Tarkeghyang, we continue our trek passing small stream through the forested area. We again continue to walk through up and down trail passing several stupas and Chortens on the way to Sermathang. Upon reaching Ghangyul, we cross a large Mani wall and continue our trek until reaching Sermathang. Overnight at Lodge in Sermanthang. 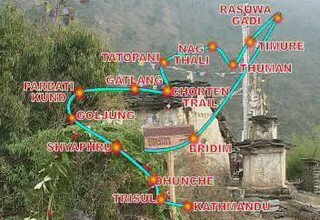 The trail today takes towards the rough village road passing the white stupa and statue of Guru Padmasambhava near the Nigale Banjyang. We then continue to walk on the village road with a distant view of the mountains to reach Kakani village. Overnight in Kakani. For our last day trek, we head towards Malamchi Pul descending through dusty road and passing several villages along the way. Upon reaching Malamchi Pul, we take a drive back to Kathmandu enjoying the roadside view. You will be transferred to your hotel once you arrive in Kathmandu. Feel free to spend the evening exploring the markets and eateries near you. Overnight at a 3-star hotel in Kathmandu. Today, we go to visit two of the durbar squares in Kathmandu valley i.e. Patan Durbar Square and Bhaktapur Durbar Square. Enlisted under UNESCO's World Heritage Sites, these palaces exhibit the rich history and art of Kathmandu Valley. You can also taste local Newari cuisines while at these places. Do ask for recommendations with your tour guide. Overnight at a 3-star hotel in Kathmandu. We drop you off at Tribhuvan International Airport approximately 3 hrs before scheduled flight hoping to see you again. * 4 nights deluxe accommodation with breakfast at 3* hotel in Kathmandu. * All transportation (4W Land Cruiser). 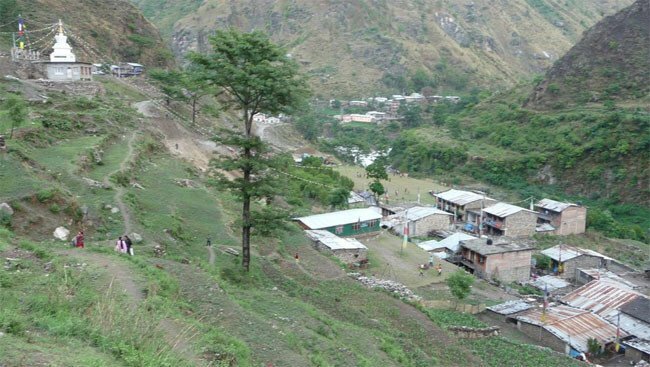 * Horse renting and additional due to natural calamities porters during the trek.